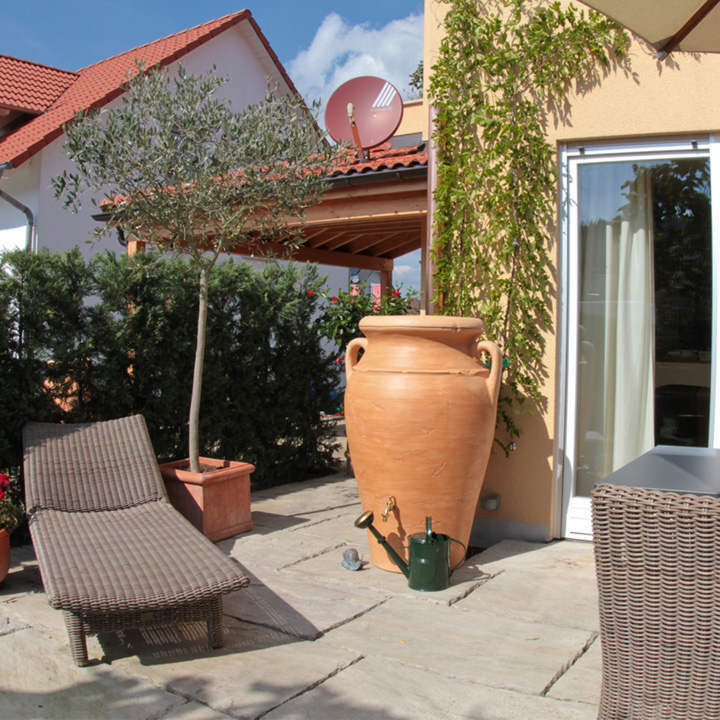 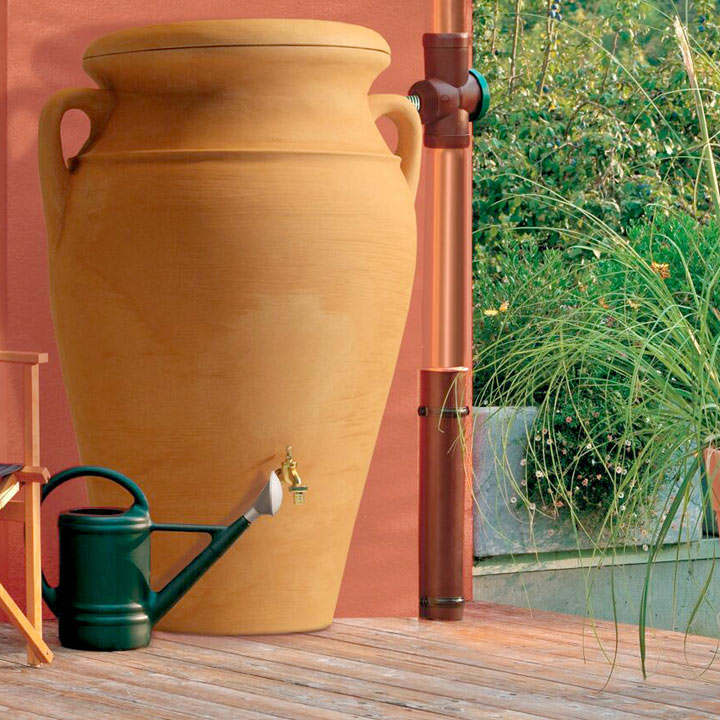 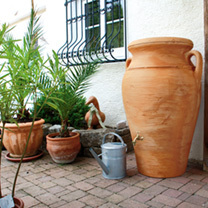 Bring a touch of Greece to the garden with this amphora designed water tank that has been crafted to give a realistic distressed detailed finish, and is made from weather and UV resistant polyethylene. It is a double-sided tank, with one side having a more distressed antique finish. 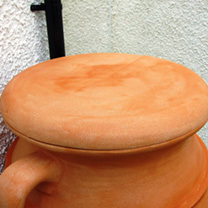 Features include - brass threaded ¾" connection points for a screw in tap on the front and back, side outlet for draining or connecting to another tank. Supplied with brass tap and childproof lid. 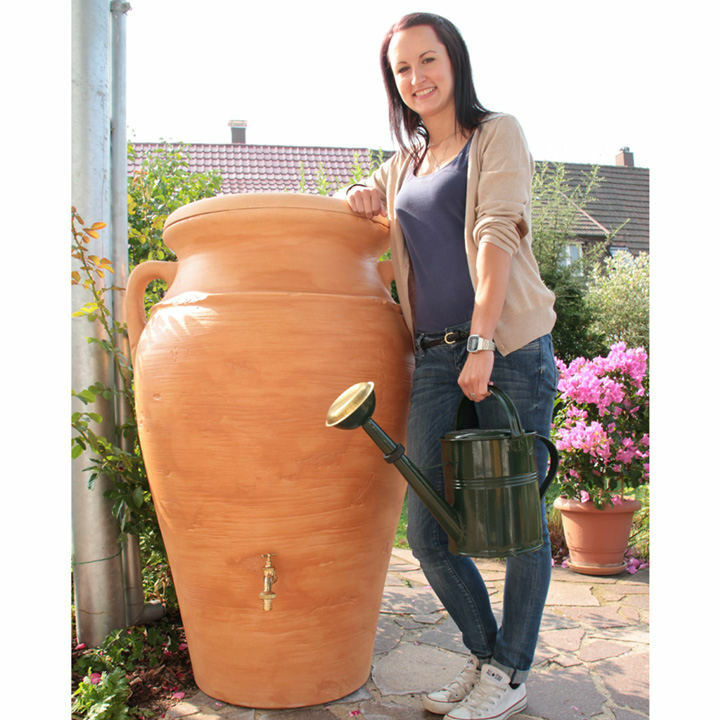 Dimensions: 120cm height, 78cm diameter (Base 46cm). Capacity: 300 Litres (65 gallons).